Over on Goodreads I have a review in which I have tried to avoid spoilers. Here I go into more depth and there may be some minor spoilers for several of Miéville’s books, but I think I’ve largely avoided that again. Fairly warned though. I am unashamedly a fan of China Miéville’s work. Look over to the tag cloud and you’ll see his name boldly prominent. I like to read his books, and I like to talk about his worlds and his writing. Perdido St and The Scar were both magnificent. They changed the way I understood the Fantasy genre, my understanding of genre as a costruct, and what imagination and creativity really looked like. They opened shackles I’d unknowingly worn since my early-pubescent reading of Tolkein, Feist, et al. Fantasy was no longer the cobbling together of the D&D Monster manual. Fantasy was worlds drawn from a global supply of myth and eons of folklore and it was new things as well like physics and invention and theoretical sciences. The Fantasy hero could be a fat, middle-aged scientist, a bug-headed artist, a surgically enhanced man-dolphin. The Fantasy villain could be a moth, or a mayor, or some trans-dimensional benthic leviathan. That said, I’m not one of those calling for Miéville to return to Bas Lag. I am as interested in where he is headed as where he has been. I liked Kraken and King Rat. I liked the London it showed me, familiar and strange at once, lovingly recreated and then twisted and shaped by myth and magic. I liked the subversions and inversions of ancient tales, of folklore, of nursery rhymes, of drum and bass. I liked the cross-culturalism of a modern city clashing with the ancient history of place. I liked the urban organic. I liked the religiosity and sociology of these ab-Londons. Although some I know disliked The City & The City, I found it fascinating and I enjoyed the way that he drew back from what could have been absurdly fanciful and made it more about psychological dissonance, whether imposed or by way of self-discipline. I went away and researched towns with amorphous boundaries and cross/hatching. I developed a different understanding of geography and place. I found Iron Council to be a tough slog. At times it was frustratingly slow and tangential, but it had its rewards. I was so looking forward to Embassytown: Miéville writing sci-fi, on an alien planet, with a whole alien race – a whole alien city – to create, with the technology for AI and constructs. Miéville exploring the artificiality of language, the interstice of translation, cross-cultural semiotics. This should have been a book which I loved: brilliantly high-concept, detailed world-building, fascinating originality, clever and witty… and yet I really struggled to stick with it. Embassytown is far from being a bad book. It is a very good book. Structurally it works well: builds a world, introduces us to characters, makes clear the complicated relationships and politics of people and place, twists and turns through an active plot and leads us to a satisfying conclusion. I know that Miéville’s prose can alienate some readers, but I am not one such reader. His word-play, and his word creation, are fundamentally attractive aspects of his novels for me. In Embassytown we again have many of his signature phrases, his unique formations and phrasing, his extensive vocabulary, and I loved some of the passages. Miéville made me see the power of the adjective used adverbially when, in Perdido Street Station, a small seedling pushes pugilist through train tracks. It is a technique he continues to use to good effect. The Germanic origins of many of the terms gave depth to the world, but the hearkening to Latin and Greek gave variety. Neologisms of mashed nouns (terretech, citynaut, biopolis) were immediately sensible. The abbreviations (autom, exot, trunc) and others perhaps entirely invented (floaking – a term that has every right to join ‘Grok’ in the vocabulary of geekdom and perhaps beyond) fitted so naturally and seamlessly into sentences that it seemed that they just belonged. The numerator/denominator, cut/turn, expressions of the Hosts and the Ambassadors were a fascinating concept, as was the singular identity in dual physical bodies. I loved immersing myself (pun intended) in the language. I also share an interest in many of the themes Miéville explored: metaphysics, existentialism, philology, the linguistics, the exploration of truly alien culture and the limitations on cross-cultural communication. The essence of self-hood, explored here through the ambassadors whose singular identity manifests in paired bodies, and names like CalVin and EzRa. 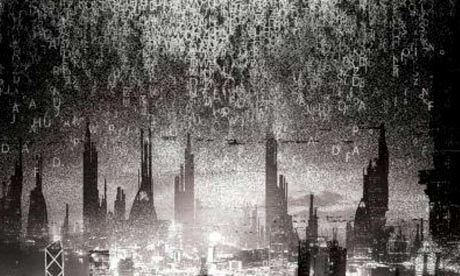 The same theme I felt was sadly underexplored through the Automs – Artificial Intelligences whose personhood is hinted at but largely dismissed, most fully realised in Ehrsul. Of all the automs Ehrsul is said to be remarkable, even unique, and yet her narrative arc fades during the second act and is all but absent from the final. Several characters annoyed me, but most notably Avice and Scile. This is perhaps because of the way the chapters inter-stitch different time periods, cross-hatching the Formerly and the Currently until the two narratives meet and we can finally progress to the finale. This makes Avice seem more inconsistent than she would be on a linear narrative, but even allowing for that I found many of her actions (and inactions) infuriating. Some of the tangents came to overwhelm and distract, there were Chekhov guns which remained loaded and mounted to the wall without ever being taken down or fired. Maybe – likely – this is deliberate. Likely Miéville is knowingly subverting such expectation, is touring us through the world he made so that we might simply enjoy it as an act of creation. He did the same in parts of Perdido, and Scar, and Iron Council, to varying success. He makes Embassytown more central than mere setting, just as New Crobuzon is, or London, or Beza/UlQuoma. To that end he is effective. The immerverse has massive scope for story-telling and an impressive depth beneath what little of it we see. Yet this efficacy comes at the cost of narrative pace and engagement, and for me there were times when the price paid was too great. The pace of the final act is effective, but for much of the middle it is glacial. Slow pace is not inherently a problem, but apparently it was a problem for me in this instance. I gave Embassytown 3 stars on Goodreads, because for all that was good about it, I did not love it. More accurately, I loved it at times, in passages, intermittently. Other times it wearied me, it dragged, it rambled along and allowed me to follow without my ever really being clear why we were taking these detours. In sections, it floaked. 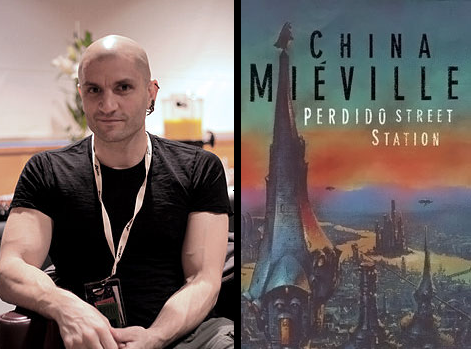 If you are a fan of China Miéville you should definitely read this. It follows through in detail and sophistication on many of the themes which are closest to his interest. If you are new to China Miéville, or unfamiliar with his brand of Weird / New Weird literature then I’d recommend starting with some of his others before working your way to Embassytown.